Chiropractic coalface stroke suggests what to do in an emergency. A 40 year old male consulted me for sub-occipital pain. He denied any history of previous serious illnesses or injuries and the physical exam was unremarkable other than for upper cervical restrictions and muscle tension. I gave him about 3 treatments over a period of about 7-10 days and he was responding well. 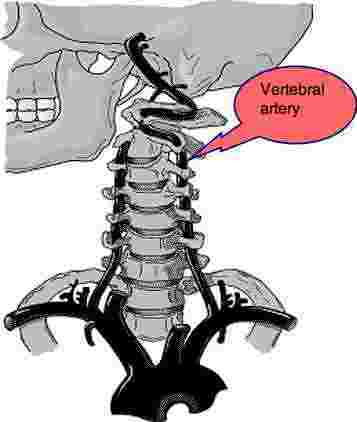 The two vertebral arteries join to form the Basilar Vertebro artery. A clot or spasm may cause a vertebro basilar accident, or in other terms a chiropractic coalface stroke. On about the fourth treatment I did an occipital lift after the usual soft tissue treatment (I don’t believe I had done it previously). I then told him to get dressed as I went to fetch the appointment book in the receptionist's office (he was my last patient on a Friday and the receptionist had already gone home). When I got back, he had his shirt on but was just sitting in a chair. I asked what was wrong - he said he felt light-headed. I said he had probably got up from the table too quickly and told him to lie down again, which he did. He gradually became more dizzy and said he felt nauseous. I got a bowl and he vomited. He became more drowsy and began sweating. I phoned for an ambulance, which came quickly. By the time it arrived, he was comatose. I also phoned his wife at home and told her that he wasn't well and that I was taking him to hospital and that she should meet me there. I went with him in the ambulance and told the admitting GP what had happened. His wife wasn't there, but his brother had come. He told me that the patient had had a similar incident some years before and that his symptoms had started after the two of them had been pulling a boat onto land at the Vaal Dam, the patient having tripped over a stone and fell backwards, hitting his head on the ground - none of this the patient revealed in the history-taking! Fortunately, he recovered and there was no case. It's an unpleasant experience for any doctor, potentially devastating for the patient and his/her family, but rare compared to the incidents that beset medicine. So, my advice to my colleagues should they experience a similar incident? Just be sensible, don’t panic, apply CPR if necessary and don’t delay in calling for help. Chiropractic coalface stroke is a very rare event; if it wasn't our insurance premiums would be on a par with gynaecologists. I personally have given probably several hundred thousand cervical manipulations without any serious incidents, but always aware that one is working where angels fear to tread. Aside: It's also essential that a patient who may have had a stroke or vertebro basilar accident immediately be administered a drug like Warfarin that prevents clot formation; that can only be done by a medical doctor. When in doubt, it's better to assume the worst, as this wise man did, and get immediate medical help. All's well that ends well, but this CHIROPRACTIC COALFACE STROKE casefile could have had a different ending had he not been so astute. Stroke chiropractic is VERY rare but it can and does happen. Modern diagnostic imaging can determine whether the patient has had a stroke or not; an immediate response to this emergency can mean the difference between death or permanent disability, and full restoration. The omega 3 oil found in fatty fish, fish oil, walnuts, flax seed and, to a lesser extent, pecan nuts has remarkable anti-clot factors. Eat them as regularly as you can, at least one preferably every day; whether you're anxious about chiropractic coalface stroke or not. I add flax seed to the sesame seed I use when making our own hummus. 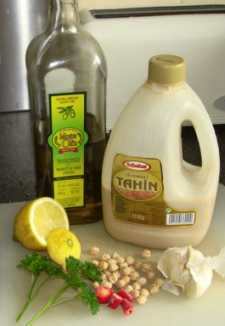 How to make tahini - a sesame paste is a vital part of making hummus, a "super food" in the battle against raised cholesterol, a major factor in stroke. So we make flax-and-sesame tahini. 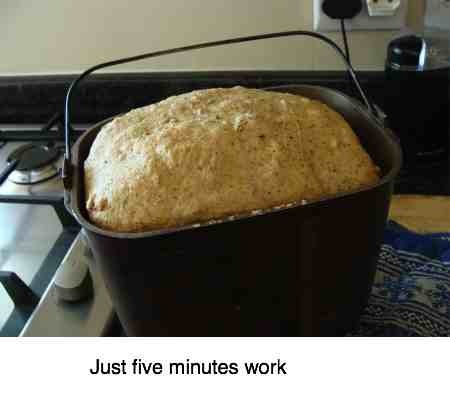 AUTHENTIC HUMMUS RECIPE ... make it in five minutes. 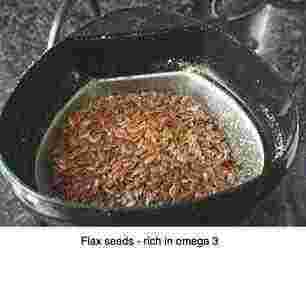 Flax adorns the fields of Europe, and I suppose the rest of the world, blue or white flowers, yielding a seed that is the richest vegetable source of omega-3 fatty acids. It's so easy to grind your own flax seeds using a simple, inexpensive coffee grinder. Add a tablespoon of the ground flax seed to your muesli every morning; if you bake bread include it in the ingredients, usually added later otherwise the bread doesn't rise properly.